Mandala patterns are as varied and intricate as the spiritual and physical realms they are meant to represent, often depicting animals in one form or another. 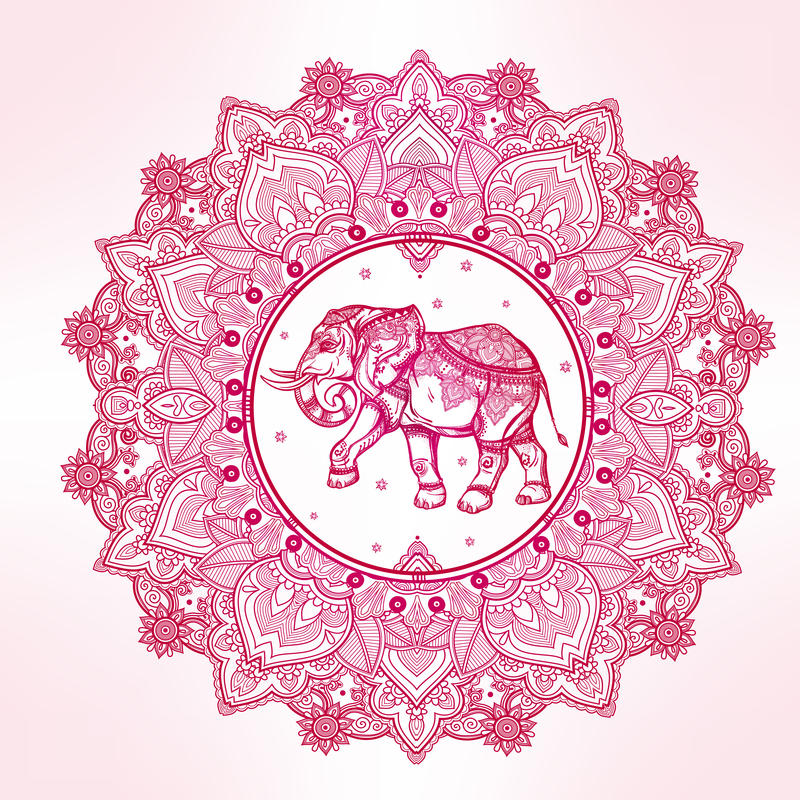 As one of the most popular animal mandala designs, the elephant is found on everything from mindful-art adult coloring books to richly embroidered bedding. While many people simply associate the elephant with Indian culture, assuming this is the reason their favorite mandala tapestry depicts a gray or white elephant, this animal is actually deeply symbolic and in many ways embodies the history of Buddhism. Mandala designs are found not only in Buddhism and Hinduism, but also in Native American totems, Celtic designs and hinted at in early Christian art such as the stained glass found in ancient cathedrals. Even the most basic mandala is complex in nature with layer upon layer of detailed design elements. Often, the traditional mandala is constructed of colored sand and destroyed upon completion, representing the temporality of all things physical and used to bless a place or people. However, there is no single “right” way to create a mandala, as each is meant to be personal and without limitations, excluding the imagination of the person involved in the creation. When an animal is depicted as part of a mandala, it is always indicative of certain qualities or strengths, religious or spiritual beliefs, or as a spirit animal. So, just what does the elephant tapestry hanging in the living room mean? The reason the white elephant is considered so special in Buddhism in particular, is that it is believed that Buddha Shakyamuni was born as an elephant in some incarnations and as a white elephant in his last incarnation, reaching enlightenment. Ganesh is also represented with an elephant-like face, while the elephant is also one of the Seven Royal Symbols and a guardian of the temples. 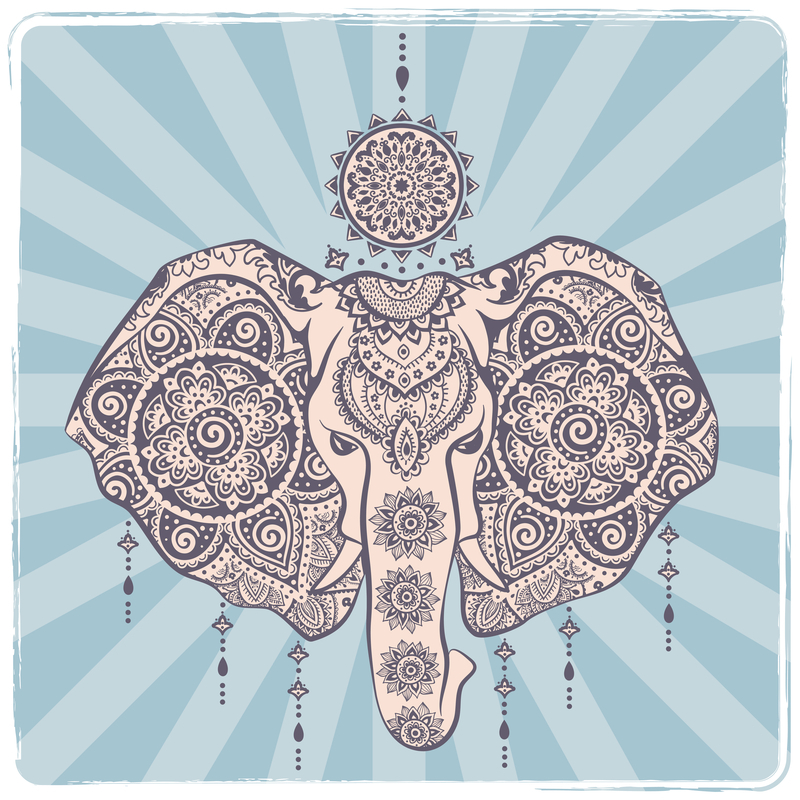 Increasingly found in various cultures, consumers find the elephant mandala on bohemian-inspired throw blankets, posters, bedding and T-shirt designs. Often, Carl Jung, a well-known psychoanalyst, is credited with introducing the mandala to modern Western society. Jung noted that the urge or desire to create personal mandalas typically emerges during periods of intense personal growth and spiritual development, resulting in a unified and much more complex personality. While some people are simply attracted to the complexity and visual appeal of elephant mandalas, realizing and exploring the deeper meaning behind the beauty of the art can lead to a greater sense of spirituality, knowing of the self and inner peace.